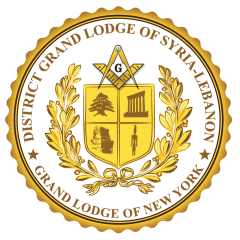 District Grand Lodge Of Syria-Lebanon, was chartered on June 23, 1955 and consecrated on August 22, 1955 by Past Grand Master of the Grand Lodge of New York M∴ W∴ Charles W. Frossel, who flew to Lebanon for that purpose. Our 11 Lodges are scattered all over Lebanon and our members come from all backgrounds, religions and walks of life. The absolute belief in God and love for country, combined with the principle tenets of Freemasonry, unite them under one common goal, which is to build a better society, for a better Lebanon. The average age of our members is 37. 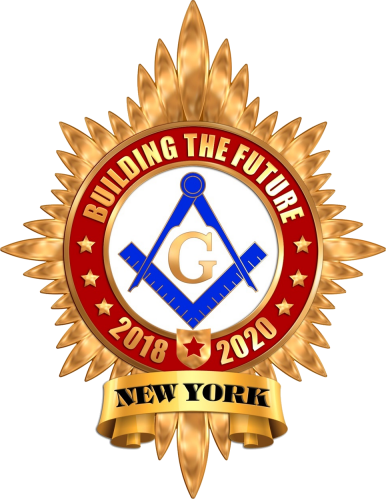 Members of the District are proud New York Masons and in addition to our Master Mason Lodges, most of our members also belong to the concordant bodies such as the Scottish Rite, York Rite and Shrine. 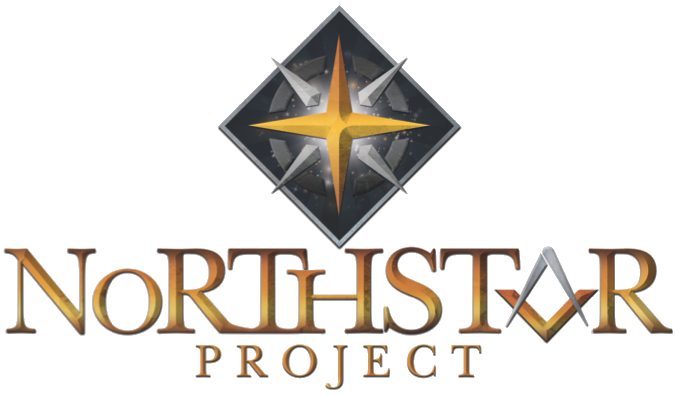 Each body has its contribution to society through some sort of an outreach program, which could be as simple as providing food rations to needy families, cover educational or health related expenses or as complex as arranging for crippled or burn related injured children to be transported to the Shrine Hospitals in the USA to receive the care they need at our expense. The District has a “Virtual Help” desk whose main goal is to indiscriminately help all and anyone in need regardless of who they are and where they come from. Despite all the ugliness that surrounds us and is currently resonating throughout the world, using hate and destruction to destroy all what humanity stands for, Freemasons of the District Grand Lodge of Syria-Lebanon stand united, strong and determined to make a positive impact in our society, one good deed at a time. The absolute belief in the “Fatherhood of God and Brotherhood of Man” is our starting point, making Freemasonry “Our way of life” for a better Lebanon. Syrio-American Lodge No. 1 (operating in English language) was consecrated in 1924. 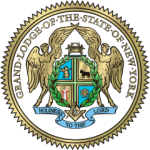 New York Lodge No. 2 (operating in Arabic language) was consecrated in 1924. Fakheruddine Lodge Numro 3 (operating in Arabic language) was consecrated in 1926. Ibrahim El Khalil Lodge No. 4 (operating in Arabic language) Damascus, Syria, was consecrated in 1927. Went dormant after the 1967 war. Suleyman Lodge No. 5 (operating in Arabic language) was consecrated in 1927. Chouf Lodge No. 6 (operating in Arabic language) was consecrated in 1929. El Berdawni Lodge No. 7 (operating in Arabic language) was consecrated in 1933. El Merj Lodge No. 8 (operating in Arabic language) was consecrated in 1935. Turbol Lodge No. 9 (operating in Arabic language) was consecrated in 1950. Lebanon Lodge No. 10 (operating in English language) was consecrated in 1955. Ani Lodge No. 11 (operating in Armenian language) was consecrated in 1960. Three Pillars No. 12 (operating in French language, currently operating in Arabic) was consecrated in 2003.